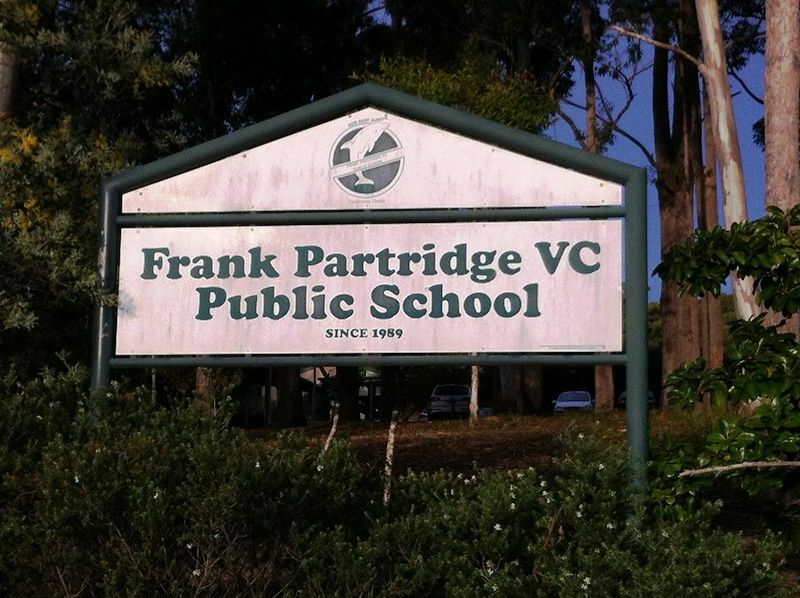 The school commemorates Frank Partridge who was awarded the Victoria Cross (V.C.) during World War Two. In July 1945, aged 20, and with 3 bullets in him, he single-handedly took out a Japanese machine-gun nest and became the youngest VC winner of the War. Apparently he stormed the enemy position throwing a grenade and yelling "Come out and fight" before diving into the bunker and killing a Japanese soldier with his knife. A self educated man and north-coast banana grower, he later rose to fame as a TV quiz champion on Pick-A-Box, later losing in 1964 to Barry Jones who was later to become a Federal minister. Frank Partridge tragically died later in 1964. He had been married for only 13 months and had a 3 month old son when he was killed as the result of a car accident.